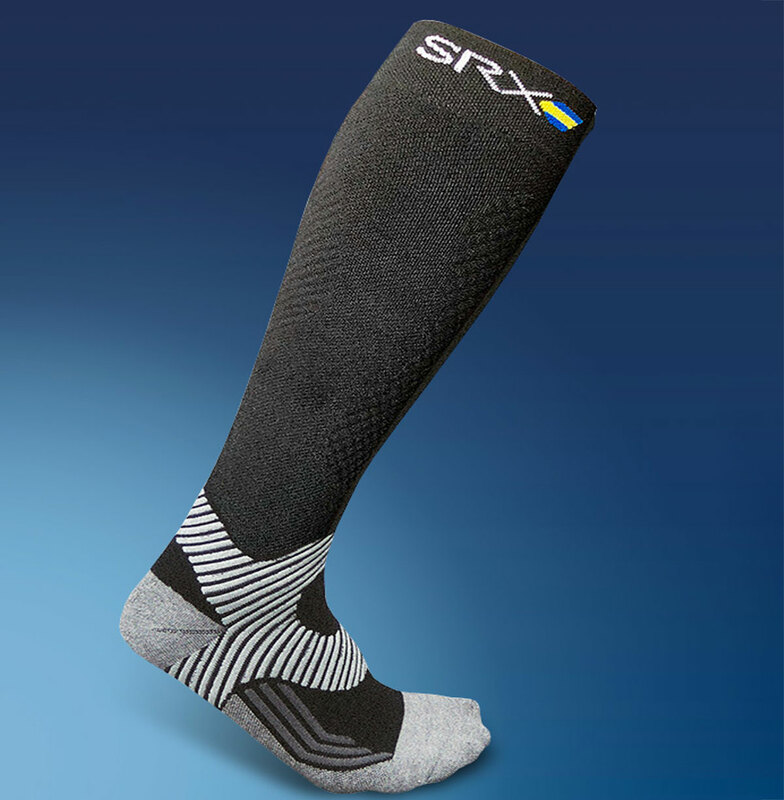 The SRX® Sport Compression Socks have been developed together with the Swedish Handball Federation for the Swedish Mens and Womens National Handball teams. The sock has a graded medical compression equivalent to compression class 2 to battle muscle fatique in the calf muscles during endurance sports. It’s made from a unique fiber composition that combines durable and comfortable bamboo fibers with an active antimicrobial effect from charcoal together with Nylon yarn. The elastic yarn used is latexfree Lycra. The SRX® sock has an anatomical design with a larger calf area and a reinforced ankle part, where the compression grades off from. Both the toe and the heel parts have been reinforced for a good durability during extreme sports. The upper part of the sock has a flexible zone to prevent discomfort where the sock ends. The length of the sock has been made flexible to fit both normal shins as well as long ones. Compression during activity can provide less fatique muscles, improve healing, prevent edema after trauma and enhance the range of motion in the joint. Mediroyal started its operations in 1999 and works to keep people injury free. We offer a wide range of products for rehab and patient safety.